Fife, WA – Flex-a-lite® is hitting the road during the summer of 2012 to celebrate 50 years of makin’ it in the USA! The Flex-a-lite 50th Anniversary Tour will span 50 days with stops at automotive enthusiast events and major product distributors throughout the Midwest. 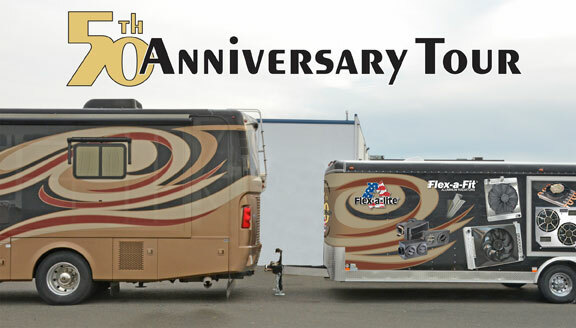 For updates on the Flex-a-lite 50th Anniversary Tour, follow Flex-a-lite on Facebook (http://www.facebook.com/flexalite) and visit http://www.flex-a-lite-blog.com.